Our regular column covering the deaths of significant – but lesser reported – people of the past month. Kenneth Partridge found fame as a designer of homes for pop stars and other beautiful people during the 1960s. 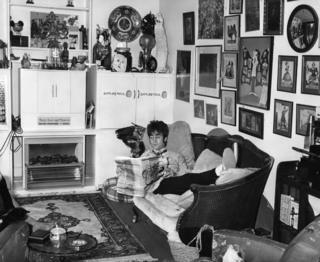 Among his commissions was a flat for Ringo Starr which Partridge decorated with purple silk wallpaper and lead-streaked mirrors. Unfortunately much of this was ruined by Jimi Hendrix, to whom Starr subsequently leased the flat, who threw paint all over the decor while on an acid trip. Partridge also designed the interior of John Lennon’s mock-Tudor house in Weybridge although neither Lennon, nor his wife, Cynthia, were impressed by some of his more lavish ideas. He delighted in designing extravagant parties, one of which saw a recreation of Dante’s Inferno with the host walking through fire while being prodded with a fork by Partridge who was dressed as the Devil while another, at Castle Howard in Yorkshire, saw guests being ferried in a fleet of Rolls-Royces hired from a local funeral company. 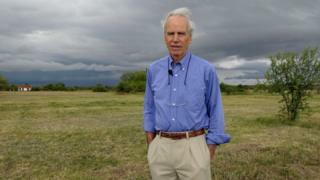 Douglas Tompkins walked away from a successful business career to become one of the world’s leading conservationists. He’d made his money as co-founder – with his first wife – of The North Face, which they built up into one of the world’s largest suppliers of camping equipment and outdoor gear. He sold his share in 1966 to join his wife in founding the fashion house, Esprit. A lover of the outdoors, he became concerned at the impact the fashion business had on the environment and quit Esprit in 1989, selling his share back to his now estranged wife. Instead he moved to Chile, re-married, and worked on a number of conservation projects which involved buying up huge tracts of land to preserve biodiversity. Among his achievements were the creation of Pumalin Park and Corcovado National Park, with an area totalling 1.5 million acres. A keen kayaker, he died of hypothermia after being thrown into an icy river. Mariuccia Mandelli was one of Italy’s most successful fashion designers. 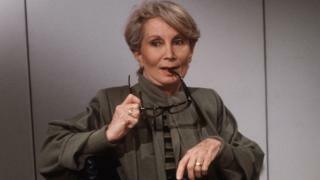 She founded the label Krizia, which put Milan on the fashion map and pioneered daring designs of women’s clothing including trouser suits and hot pants. She delighted in eccentricity, making clothes from eel skins and creating a range of knitwear emblazoned with wild animals. She began making dresses for her dolls when she was just seven but bowed to the wishes of her parents and trained to be a teacher. At 19 she quit, sold her Lambretta scooter to raise some cash, and began selling dresses from the back of her old car. The name Krizia was taken from a character in Plato’s dialogue on female vanity. By the 1990s she and her husband ran a business with a turnover in excess of 340m and had built up a loyal following in China and Japan. 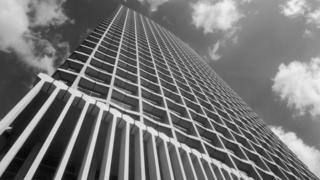 Harry Hyams‘s Centre Point tower in London saw him become, for some, the unacceptable face of property development in the 1960s. Already a successful entrepreneur, he took advantage of council proposals for a (never built) roundabout at the junction of Oxford Circus and Tottenham Court Road to gain a lease on land there. The 35-storey tower was completed in 1966 but remained empty for the next 14 years, because Hyams wanted to rent it out to a single occupier. Even as an empty building, its initial value of 5m more than quadrupled, but Centre Point became a focus for homeless charities, who claimed the London property boom encouraged owners to keep buildings empty. Hymans shunned publicity, and even held his company’s annual general meeting on New Year’s Day to discourage anyone from attending. 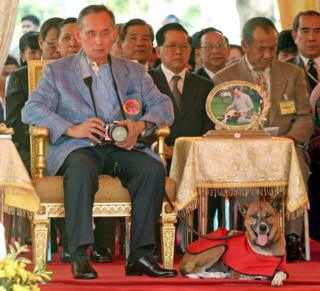 As the pet dog of King Bhumibol Adulyadej of Thailand, Tongdaeng enjoyed the protection of a law prohibiting any action which undermined the dignity of the country’s reigning monarch. This resulted in a factory worker being prosecuted for posting a sarcastic message about Tongdaeng on Facebook. The animal – whose name means “copper” in Thai – was adopted from a litter born to a stray dog. The king referred to her as “a common dog who is uncommon” and wrote an affectionate biography of her which quickly became a bestseller. The dog, said the king, would show proper respect by always sitting lower than her owner even when he reached down to hug her. In 2006 Tongdaeng, together with her puppies, featured on a commemorative set of Thai postage stamps. Nicholas Smith – Mr Rumbold in Are You Being Served?